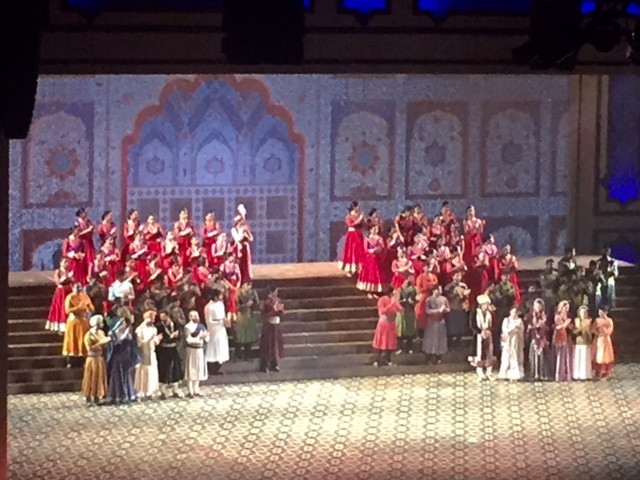 Last Saturday Night , my Man surprised me with tickets to the play " Mughal- E-Azam" . 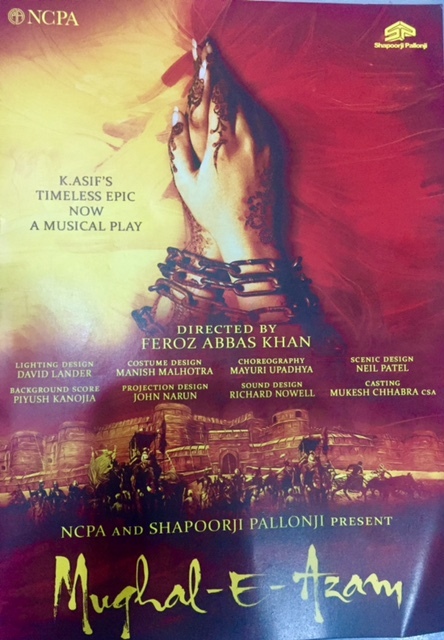 For the uninitiated, " Mughal- E-Azam" was a blockbuster epic Indian movie that was released in 1960 after being for 9 years in the making and it broke all records at the box office after its release ad shut the mouths of the sceptics .The original movie starred Prithviraj kapoor ,Madhubala, Dilip Kumar and Durga Khote in the lead roles .It was directed by K. Asif and its soundtrack by Naushad consisting of 12 songs still evokes awe .It was the love story of the Crown prince Salim and a nautch girl Anarkali and how it shook the very foundations of the Mughal sultanate . The play has been directed by celebrated director Feroz Abbas Khan who has also directed Tumhari Amrita,Salgirah ,Salesman Ramlal and Gandhi Viruddh Gandhi etc. So you can imagine my excitement as well as curiosity as to how will Feroz Abbas Khan treat a story that is known to all and has already created records as a film . The plot is exactly the same as the movie.It is the story of the tumultuous and tempestuous love of Crown Prince Salim for a nautch girl Nadira who was conferred the title of "Anarkali " by the Emperor Akbar himself . 1. The dialogues in the original movie were written by Kamal Amrohi ,Wajahat Mirza , Ehsan Rizvi and Amanullah Khan .Feroz Khan has retained most of the original dialogues and when delivered by the artsists with proper voice modulation and perfect diction - It created the ground for a stimulating performance . 2. The original soul stirring music by Naushad has been retained with the only change being live singing by the female artists and beautiful Kathak based choreography to accompany the songs . 3. The technical direction , the Sound system and the stage management were excellent .The background and foregrounds seamlessly and noiselessly would interchange creating a magical film like finesse on the stage . 4. 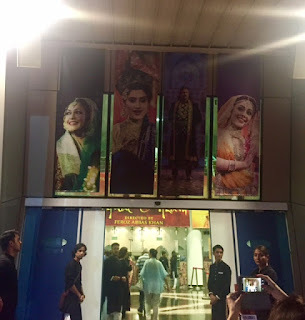 The actors were impressive in their performance and singing specially touched by Salim (Dhanveer Singh ) and Jodhabai (Sonal Jha ) and the singing of Anarkali (Neha Sargam ) was soul stirring too . 5. 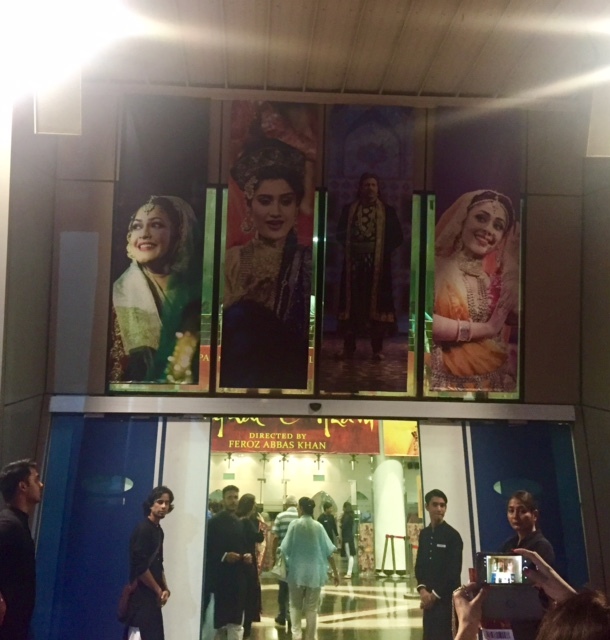 Since the original dialogues have a lot of heavy weight Urdu words , the director did well to include translations projected on the side walls . 6.Besides the regular songs of the original movie , this one had a Sufi song "Salim Chistiyan " which was rendered beautifully by Mujtaba Naza . 1. 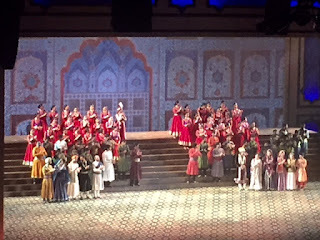 O.k.,this is besides the actual play, but it irked me that people kept coming late and scurrying for their seats well after 15-20 minutes of the start of the play.Since you cannot really see mush of the facial expressions , the dialogues become much more important in a play . 2. The voice of Anarkali (Neha Sargam ) could not really take the strains of certain notes and cracked.I suspect she had a little hoarse throat and at some places she was lagging behind the cue music. 3. Akbar was not as powerful a force to reckon as in the original movie .His performance could have been more forceful. 4. Feroz Khan did full justice to the original in terms of the splendor and scale of the movie .He has maintained the same large scale and dazzling sets and beautiful costumes that had been designed by the famous fashion designer Manish Malhotra himself .Yet where is his creative stamp ? It is just a clever and technically smooth theatrical take on the original trail blazing movie . FINAL VERDICT - I rate it a 4/5 . The play recreates the magic of the bygone era .See it for its great Music, Dance ,costumes and technical aspects .Even if you have seen the original multiple times you will still come back spellbound . A must watch for all ! That's a nice review...it sure was a huge hit! I am not a fan of old movies, even though they might be blockbusters. I urge you to check their YouTube videos then,just to get the feel.